“A funny, fresh novel about growing up African-American in 1960s Chicago” by an author who “writes like Terry McMillan’s kid sister” (Entertainment Weekly). In this hilarious and insightful coming-of-age novel, author April Sinclair introduces the charming Jean “Stevie” Stevenson, a young woman raised on Chicago’s South Side during an era of irrevocable social upheaval. Curious and witty, bold but naïve, Stevie grows up debating the qualities of good hair and dark skin. As the years pass, her family and neighborhood are changed by the times, from the War on Poverty to race riots and the assassination of Martin Luther King Jr., from “Black Is Beautiful” to Black Power. Against this remarkable backdrop, Stevie makes the sometimes harrowing, often comic, always enthralling transformation into a young adult—socially aware, discovering her sexuality, and proud of her identity. 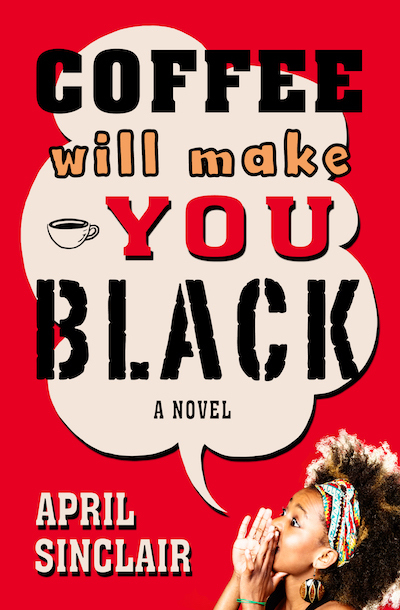 Winner of the Carl Sandburg Award from the Friends of the Chicago Public Library and named a best book of the year in young adult fiction by the American Library Association, Coffee Will Make You Black is an exquisite portrait of adolescence that will resonate with readers of all ages.